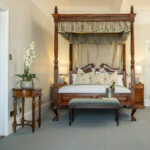 Here, you’ll find accommodation options to suit all trips and tastes. 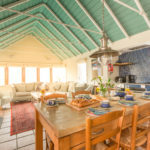 With hotels, bed and breakfasts, self-catering cottages and campsites spanning the islands as well as mainland Cornwall and Devon, there’s a place for you to feel at home, wherever you are in your journey. Just let us know what you’re looking for, and when you’re travelling; we’ll do the rest. Turn into the tree-lined driveway and the experience begins. 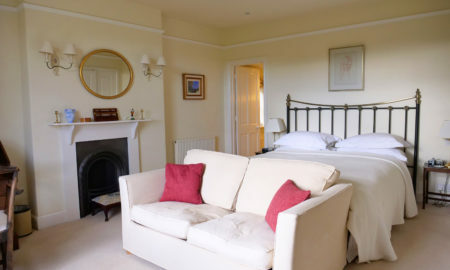 Larkbeare Grange is a sympathetically converted Georgian house with four well-provisioned guest bedrooms and extensive grounds soundtracked by a friendly flock of sheep and an inquisitive herd of cows. On arrival we want shoulders to drop, smiles to form and the backdrop of the orchard and green fields to work their countryside charms. 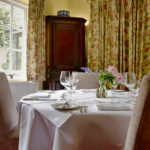 St Mary's Hall Hotel where service and attention to detail are key. 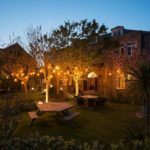 Based around an elegant townhouse, originally built by Count Leon de Ferrari and surrounded by beautiful Mediterranean gardens, St Mary's Hall Hotel offers contemporary style and comfort in a traditional setting. 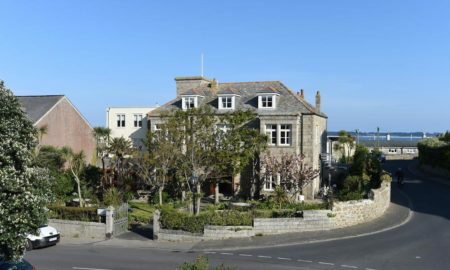 Situated in the quiet part of the town, just 2 minutes from Porthcressa beach and only 5 minutes level walking from the quay, St Mary's Hall Hotel reflects the relaxed and timeless lifestyle of the Isles of Scilly, with our friendly staff on hand to help you get the most from Scilly's amazing and unique environment. 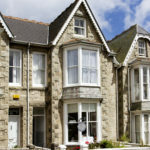 Situated in heart of the seaside town of Penzance, Woodstock Guest House is a beautiful Victorian townhouse 2 minutes’ walk from the promenade, the seafront and the beach. Both Penzance marina and the ferry terminal are a 10-minute walk from Woodstock. 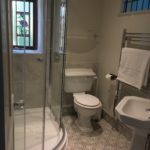 Each room at Woodstock Guest House features an en suite bathroom, a TV with Freeview channels, Free WiFi, and tea/coffee making facilities. 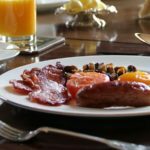 The highly rated breakfast uses local produce where possible and has a wide selection to cater for everybody's tastes and requests. 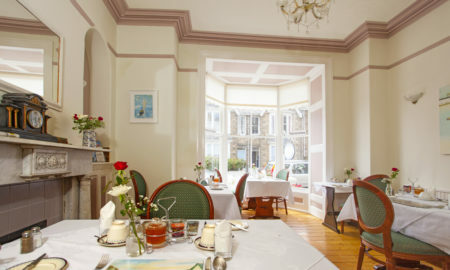 Within easy reach of the town centre, the guest house is only 5 minutes’ walk from restaurants and shops. 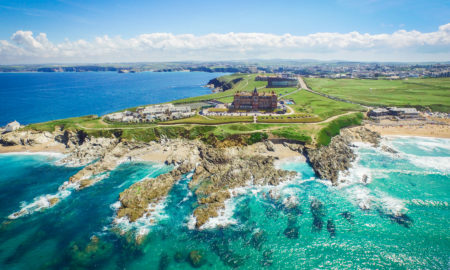 Stylish, elegant and unique The Headland Hotel & Spa is a luxury hotel in Newquay with private self-catering cottages set upon an exclusive clifftop overlooking Fistral Beach. 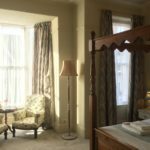 Offering the perfect blend of discreet English ambience and decadent hospitality, we take pride in our individually designed luxury hotel rooms and suites with ocean views, rosette-worthy dining from Executive Chef Christopher Archambault and indulgent pampering in The Headland Spa. 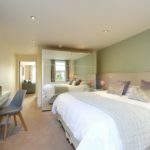 Welcome to one of the most understated yet personal spa hotels in Cornwall. 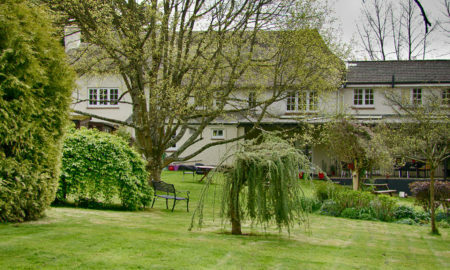 The Tumbling Weir is a small thatched hotel, converted from a 17th Century cottage, nestling between the River Otter and its mill stream. 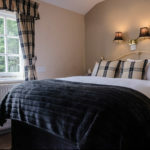 Lynn and Paul Thurgate welcome you to their picturesque, family owned and run hotel, for a comfortable and relaxing stay in a very tranquil, rural setting, away from traffic noise and street lights, with ample free car parking on site. 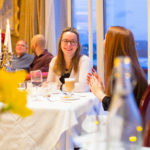 If you are looking for an overnight stay, a gourmet break, a quiet room on a business trip or somewhere to meet up with family and friends, the Tumbling Weir Hotel is the perfect location in which to relax, entertain and dine. 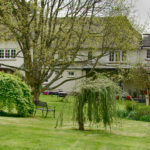 Set in nearly an acre of beautiful, mature gardens with unusual plants, overlooking fields and the River Otter. 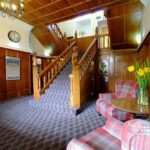 The Hotel is within easy reach of the M5 and is just a 10 minute drive from Exeter airport and the coast. 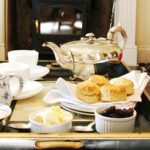 Historic Ottery St Mary is just a few minutes walk.